SomeTime is a cojourner experience – a time dedicated to exploring the spiritual backstories of our friends. During this experience you will be asking friends, “Sometime, I’d like to hear about your spiritual journey…would you be up for that?” And, during that conversation (or in the next one) you will ask if you can meet to hear his or her story. 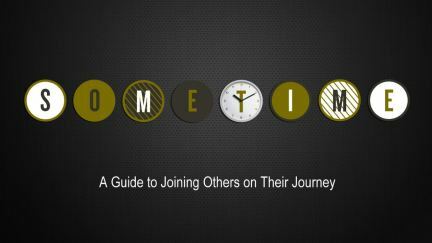 SomeTime seeks to provide easy connections to the gospel through planned conversations. It’s easy…really easy.